All games in the opening round of the 2018 EA Sports Cup have been moved forward due to severe weather conditions across the country. Dalymount Park was covered in snow for the visit of Derry City three days ago. EA SPORTS CUP first round ties scheduled for Monday and Tuesday evening have been postponed due to adverse weather conditions. 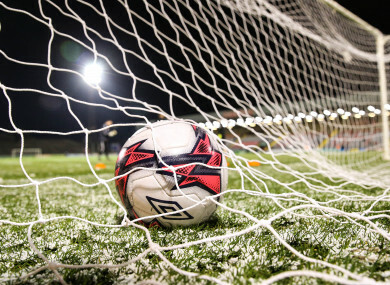 The games, due to take place on 5 March and 6 March, have been moved forward and staggered across the remainder of the month to facilitate a hectic schedule for League of Ireland clubs. All SSE Airtricity League games scheduled for tonight and tomorrow were postponed earlier this week due to heavy snowfall, with some clubs now potentially facing into as many as seven games in the space of four weeks between league and cup commitments. Email “Postponements continue for League of Ireland clubs as EA Sports Cup fixtures rescheduled”. Feedback on “Postponements continue for League of Ireland clubs as EA Sports Cup fixtures rescheduled”.